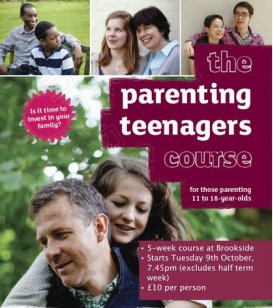 Developed by Holy Trinity Brompton in London, this excellent five-week course is for any parent with children aged between 11 and 18 years, and for those with younger children who wish to prepare for the teenage years. Whilst based on Christian principles it is relevant and helpful for any parent with or without a Christian faith or church background. Each evening begins with refreshments, which is then followed by a video presentation, and an opportunity to discuss issues raised in small groups. The course is run by John & Alison Duffield who have successfully steered their three children through their teenage years. In our opinion, they are the perfect people to facilitate this course - whilst making it extremely practical and helpful, they will also ensure it's lots of fun. For further details, either contact John Duffield via email, or the Church Office.